Timber stagings having stiles reinforced with galvanised high tensile wire, decking secured to cross bearers with reinforced steel tie rods. 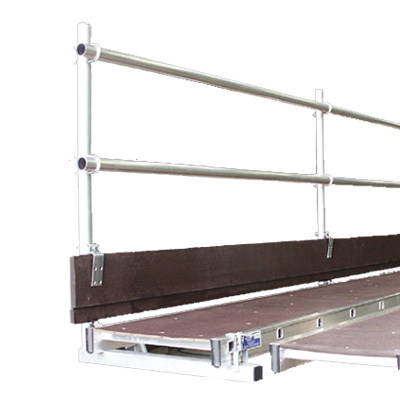 These stagings provide a strong working platform 450mm (18") wide (twice the width of scaffold boards) up to 7.2m (24'0") long without intermediate support. 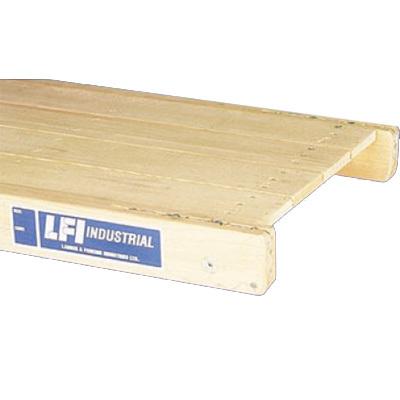 Support a 270kg distributed load, equivalent to three workmen and their tools. BS 1129. Licence No. 3716. 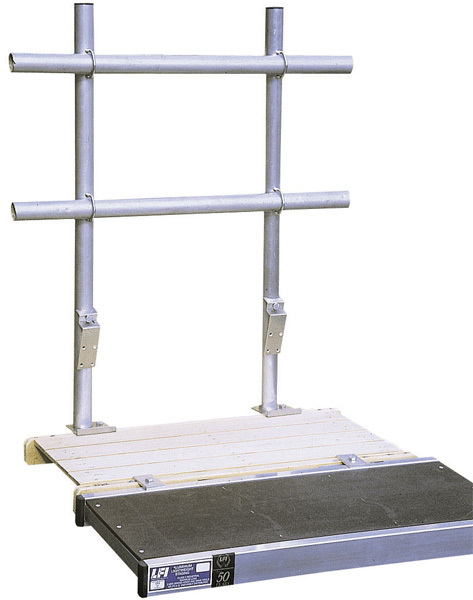 Aluminium Stagings constructed with box section aluminium stiles, and rubber inserts to prevent movement, aluminium and timber crossbars giving greater strength and weight saving. 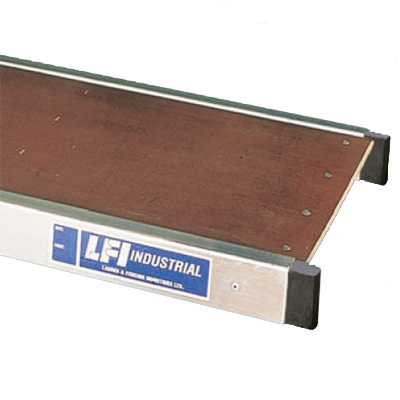 Fitted with new non-slip rot proof combi-board or slatted decking, and rubber end blocks. 450mm wide. BS2037. Licence No. KM10802.